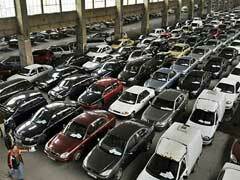 How To Get Your Dream Car From Salvage Cars Auction? 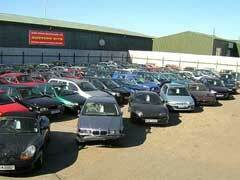 The idea of buying a vehicle at a salvage cars auction can seem almost crazy. Who would want to get their next auto from a place that sells wrecks? But in fact, this can be the best way to get a vehicle which would otherwise be too expensive, and even get a dream car which would be completely out of reach for most people’s budget. The salvage auto might not even be too badly damaged, internally, so the external parts can be beaten out to repair the vehicle and restore it to its former beauty. Repo Car Auctions – 10 Secrets How To Buy Your Dream Car Super Cheap! Repo car auctions is a great way for you to find a cheap car. As there are many ways to go about this, here are some tips to help you get the most out of car auctions. 1. The first step is to become an informed buyer. Online Classic Car Auctions – Collectors Cars For Sale! The internet is a great place for car enthusiast to buy their next ride. As the marketplace continues to expand, buyers will find everything they could want from classic rides to one of a kind accessory. 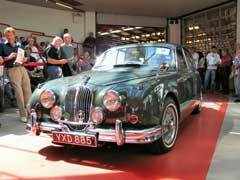 For those looking to participate in classic car auctions, here are a few tips to help you get the most out of your experience. Salvage Car Auctions – 10 Secrets How To Get In The Game! 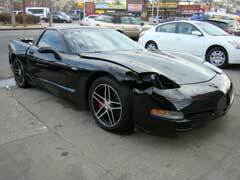 Salvage car auctions is a great way for you to find an inexpensive vehicle. If this is your first time doing this, you may feel bombarded by the many options available. Once you understand the process more, you’ll find car auctions is a good way to receive a deal on your next car. Here are some tips to assist you. Crashed Cars for Sale – Top 10 Places Online to Find Best Rates! If you are good with a wrench and don’t mind a rebuilding project, buying damaged vehicles is a great way for you to do a fun project and save a carload of money. When researching crashed cars for sale, here are some of the best websites to visit.